Time for a new challenge at Time Out Challenges. It is our CASE (copy and share) challenge. We are vey excited that for this challenge we are CASEing Cornelia. I am sure many of you know Cornelia and if not check out her amazing blog here. I have followed Cornelia for many years now and her creativity grows with every card I see. This card was made especially for my dear friend Kylie who is celebrating her Birthday today-Happy Birthday buddy, have a wild one. I deliberately used all stamps and dies from Kylie's shop Happy Little Stampers and it just happens that they are sponsoring us for this challenge with the winner getting $15 gift voucher for their store. Our Guest Designer for this challenge is the very talented Pooja. Her projects are amazing and her creativity just blooms. Take a look at her stunning blog here and you will love what you see! 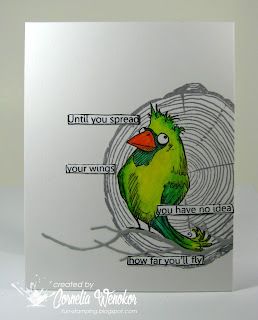 Want some more ideas for CASEing this amazing card by Cornelia-check out Time Out here. Then take some TIME OUT yourself and get inky! Such an interesting CASE! The butterfly pops against that black circle! Thanks for having me as GDT - such fun! The case card is very different from your style, but I love it, and I love how you brought 'Sandie style' into your version of it. This is a great case! Love that butterfly against the black. 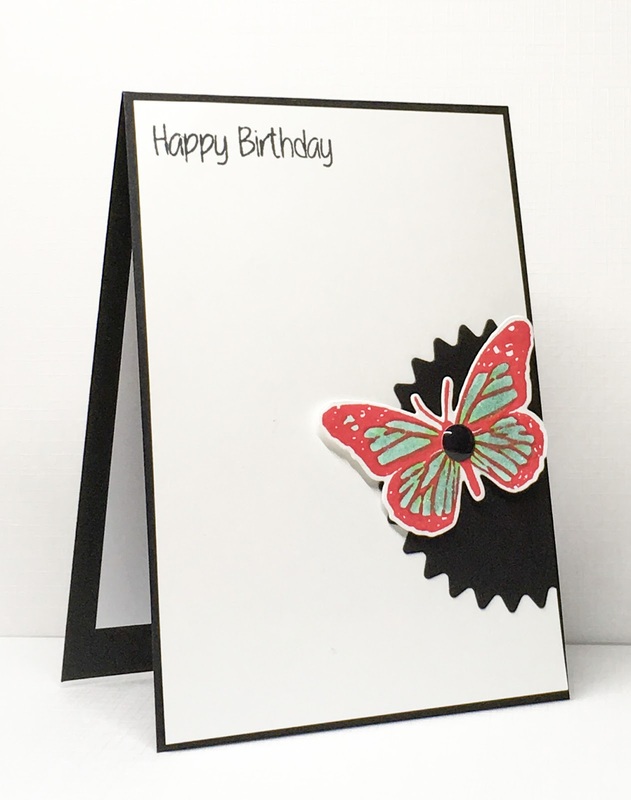 Fabulous card...love your beautiful butterfly! Love how you used the sketch for your card. The pops of color agains the black are gorgeous! A really great take on the CASE card Sandie - I just love how that butterfly pops against the black cut out and I'm sure that Kylie loved it too!